What counts as a ‘business transfer’? What is a ‘service provision change’? It is a law which operates to transfer the employees of a business when that business is taken over. TUPE also covers changes in service providers i.e. outsourcing, insourcing, switching from one provider to another. Under the TUPE Regulations both of these are known as ‘relevant transfers’. TUPE does not apply to share sales. This is where an ‘economic entity’ changes hands and retains its identity after the transfer. The definition of economic entity within the TUPE Regulations is: “an organised grouping of resources that has the objective of pursuing an economic activity, whether or not that activity is central or ancillary”. A key question will be whether the business has transferred as a ‘going concern’: did assets, goodwill, customers and employees transfer? Did the business carry out the same work before and after the transfer? 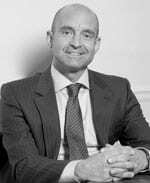 As set out before, TUPE also applies to outsourcing and insourcing of services as well as changes from one contractor/sub-contractor providing services to another (second-generation outsourcing) ­ these are collectively known as ‘service provision changes’. A transfer will only take place where there is an ‘organised grouping of employees’ whose ‘principal purpose’ is to carry out work for a particular client. For example, if there was a group of software engineers who work for Company A predominantly on a contract for Company X and Company B subsequently wins the contract with Company X then, on the face of it, that grouping of software engineers would move from Company A to Company B i.e. their employment would automatically transfer by virtue of TUPE. The supply of goods and “one-off buying-in of services” are excluded from the reach of TUPE. TUPE applies to a business transfer where the undertaking is situated in the UK immediately before the transfer. It also applies to service provision changes, where the organised grouping of employees is situated in Great Britain immediately before the service provision change. The contracts of employment of those employees employed by the company transferring (known as the “transferor”) automatically transfer to the company taking over the business or service provision (known as the “transferee”). The employees are entitled to transfer on their existing terms of employment, subject to certain limited exceptions (including old age, invalidity and survivors’ benefits under occupational pension schemes). This principle applies to all employees who were employed immediately before the transfer or who would have been so employed if they had not been dismissed because of the transfer or a reason connected with it. The only exception to this is where employees are dismissed for a reason which is an economic, technical or organisational (ETO) reason that entails changes in the workforce. 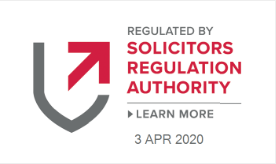 There is no legislative definition of an ‘ETO reason’ and case law has made this a complex area so you should seek legal advice whenever contract changes are contemplated and they could be found to be connected with a transfer. The transferee effectively steps into the transferor’s shoes with regard to the transferring employees. All of the transferor’s rights, powers, duties and liabilities under or in connection with the transferring employees’ contracts pass to the transferee and any acts or omissions of the transferor before the transfer are treated as having been done by the transferee. This includes rights under the employment contract and most liabilities under statute and tort (including personal injury). Health and safety claims (but not criminal liabilities arising under health and safety legislation) also transfer to the new employer. The transferor’s vicarious liability to a transferring employee for torts committed by a fellow employee (whether or not that employee transfers) will probably also pass to the transferee. If an employee objects to the transfer they will not automatically transfer to the employment of the transferee. Their contract of employment will terminate by operation of law on the transfer date and this would not be classed as a dismissal. a reason connected with a transfer which is not an economic, technical or organisational reason entailing changes in the workforce (ETO reason). However, it is possible to make changes to employment terms before or after a transfer where the sole or principal reason is either a reason unconnected with the transfer or a reason connected with the transfer which is an ETO reason. For example, pre-transfer changes to terms and conditions which are made to increase productivity. This might involve harmonising terms and conditions, but if the main driver is to increase productivity and harmonisation is merely a consequence, the changes are not connected with the transfer. It is important to note that employees can claim constructive dismissal if their employer makes substantial changes to their terms and conditions of employment to their detriment e.g. a significant change to working conditions. TUPE provides enhanced protection against unfair dismissal over and above general unfair dismissal law. Any dismissal of an employee with at least the requisite qualifying period (two years’ service since 6 April 2012) will be automatically unfair where the sole or principal reason for the dismissal is either the transfer itself or a reason connected with the transfer that is not an ETO reason. Both the transferor and the transferee have an obligation to inform and (if appropriate) consult with recognised trade unions or elected employee representatives in relation to any of their own employees who may be affected by the transfer or any measures taken in connection with it. Certain information must be provided to the representatives long enough before the transfer to enable the transferor to consult with them about it. Although the duty to inform will arise in every TUPE transfer, the duty to consult only arises where an employer envisages taking measures in respect of affected employees. A failure to comply with these obligations exposes the parties to up to 13 week’s uncapped pay, for which the transferor and the transferee may be jointly and severally liable. TUPE requires the transferor to provide the transferee with certain information about the transferring employees (the “employee liability information”) not less than 14 days before the relevant transfer takes place, and provides a remedy for the transferee in the event of the transferor’s non-compliance. The usual data protection principles will apply to certain information provided by the seller in the due diligence process. Personal data should be disclosed in confidence and it may be appropriate to enter into a confidentiality agreement in relation to this data and require the buyer to return or destroy the data if the transfer does not take place. Depending on the circumstances, the employees of an insolvent business may transfer by operation of TUPE. However, if that is the case then some of the transferor’s debts in respect of the employees will not transfer to the transferee, but will instead be taken on by the Secretary of State and paid out of the National Insurance Fund. Furthermore, the transferee will have greater scope than normal to vary the employees’ terms provided the variation is designed to safeguard employment opportunities by ensuring the survival of the business. However, employees will not always transfer from an insolvent business. This is an intricate area of law and legal advice should always be sought. 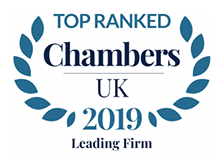 Kervin & Barnes offer direct and immediate access to a team of experienced lawyers that provide advice and guidance which is not only practical and commercial, but specifically tailored to the needs of our business.